Hypnotherapy is a gentle way to make positive changes that can help you to improve your health and wellbeing. Hypnotherapy is successfully used in many areas, from sports performance to managing IBS and cancer care. It is one of the complimentary therapies offered by the award winning Christie’s Hospital; sessions are offered to help people struggling with difficult procedures (radiotherapy,chemotherapy, scans, needle anxiety) and “find the inner resources they need to deal with their emotions in a positive way”. Hypnotherapy can be a gentle, natural way to help children with common issues such as sleep, bedwetting, fears, fussy eating, thumb sucking etc. If Hypnotherapy is new to you or your only experience is the “stage hypnotism” you have seen on the TV, it is only natural that you will probably have many questions about it. Rest assured, Hypnotherapy is not the same as the stage hypnosis presented on T.V! Hypnotherapy is a recognised psychological therapy and was first approved by The British Medical Association in 1955. For some issues, it can be used for helping you to overcome, manage or improve emotional, physical and psychological issues. Please note that it is a complimentary therapy and should not replace medical advice. It is therefore advised that you contact your GP should you be concerned about any medical issues. This therapy recognises the subconscious mind and gives you the opportunity to create change in the form of new responses-thoughts, feelings, behaviours. Hypnosis – a relaxed state, is employed as a tool to help you focus your attention so that you can then make the positive changes that you need. It is a state that we experience naturally, every single day – when we daydream, when reading a good book or involved in a task. Ever driven from A to B in a car and wonders how you got there? This is a great example of a natural “trance” state! The aim of In Mind Therapies is to utilise techniques to help you to manage, overcome or cope better, with the issue or condition and create lasting change. Hypnotherapy bears no resemblance to the stage hypnosis presented on T.V. There are no swinging watches, no “ look into my eyes “ and certainly no demands for the client to “ sleep” ! This is used purely for entertainment and is not the same as Hypnotherapy. You are in full control and cannot be made to do anything nor reveal anything, you do not wish to. There are many things written, but an easy way to understand it, is to view the subconscious mind as a vast warehouse. It contains all your memories, feelings and experiences. It has immense capacity and can store out-dated beliefs, thoughts and emotions. These can influence your habits, behaviours and thoughts, without you being consciously aware. Hypnosis is a way of accessing the subconscious; it can be a useful way to uncover the root cause of an issue, overcome it and make positive changes within your thoughts, feelings and behaviours. Hypnotherapy can be a useful way to “clear out your clutter!”, let go of negative emotions and habits and increase the mind/body connection. Hypnosis is often described as an “altered state of consciousness”. It can be achieved when you are relaxed. We enter this state naturally in our daily lives, many times – when we daydream, are driving or when engrossed in a good film or book. When undergoing hypnotherapy, you are completely in control; you can speak and move during the process. You are not asleep; it is basically a conscious but relaxed state. Whilst everyone will experience therapeutic hypnosis in a slightly different way, most people find they feel relaxed. Some will feel very little difference, whilst others may feel deeply relaxed. It is not, however, like the sleep state. You are able to speak, move and can stop the therapy at any time you wish. In fact, I encourage my clients to speak during the sessions. Clients often find the process extremely interesting! Do not worry – it is impossible to get “stuck”. All hypnosis is self – hypnosis; you are the one in control and decide if and when to enter and end the process. You may well be absorbed in a good book, however, you cannot get ” stuck ” reading it . Hypnosis is simply an altered state of awareness, and the hypnotherapist is more like a guide or facilitator. It can help you make positive changes, release emotional issues and break free from negative patterns of thinking or behaviour. It can help with anxiety, stress and improve your ability to cope better with life and move forward more positively. The therapy can also be used for pain management and sports performance. Hypnotherapy is often regarded as an effective way to make changes more rapidly than some other therapies. Whilst it can be beneficial for a wide range of conditions and clients may feel benefit after only a couple of sessions, it does depend on the client. **Pain -When wishing to use Hypnotherapy for pain relief, it is important that you have consulted with a doctor to establish the cause of the pain, before using Hypnotherapy. **Cancer – Hypnotherapy may be a complimentary therapy that you choose to use alongside medical treatment for cancer. It is intended to relieve the symptoms of cancer or the side-effects of the treatment prescribed by the Consultant. It is important to discuss your decision with your Consultant, before embarking on Hypnotherapy sessions. Whilst the therapy can be extremely beneficial , please note that this is not a treatment or a remedy for the cancer itself. 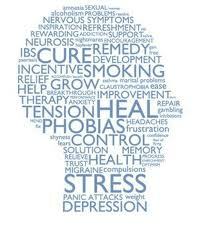 Hypnotherapy is a complimentary therapy that can be beneficial for some issues. However, for a very few people, hypnotherapy is not suitable – people with severe epilepsy, some breathing problems, serious psychotic disturbances, personality disorders and anyone under the influence of drugs or alcohol. If you are in any doubt, please consult a medical doctor first. After your free consultation, the first session will last approximately 90 minutes. This will give us the opportunity to go through your medical history, discuss in full the issue you wish to work with, and agree together the way forward. You will be introduced to some gentle relaxation exercises that will be the foundation to any further work and which you can use in between sessions. Subsequent sessions usually last around 60 – 90 mins. Like all therapy, the number of sessions you will need depends upon you, the issue you wish to work with and your commitment. Hypnotherapy, however, is regarded as a short term therapy, as opposed to therapies that may require sessions over several months. Why use In Mind Therapies (IMT) ? In Mind Therapies is committed to helping you. I provide a caring environment, free from judgement, where you will be treated with respect, whatever the issue. All consultations and sessions are completely confidential. The continued professional development I undertake, reflects my commitment to high standards of professional practice. Our aim is to empower you with tools and confidence that will make a positive difference to your life. How is it different from other Hypnotherapy ? When using Hypnotherapy, in order for your sessions to be effective and successful, it is important to find the root cause of the presenting problem. The therapy does not seek to “ plaster over” problems, but to find its’ origins. This is often referred to as Analytical Hypnotherapy. Techniques can be used to help with issues from the past that may be causing distress or have manifested as physical symptoms within the body. They can also focus on present problems and finding successful solutions. I do not work from general, standardised scripts as I recognise that every person and their experience is unique. As therapy is an extremely personal process, every session is tailored according to your individual needs. Any scripts that may be used will be created and written specifically for you. The therapy I use draws techniques from a variety of models besides hypnotherapy, as well as my creative background and experience. All sessions are about working in partnership with you to facilitate your success. You are always at the centre of the work we do. Anne is a qualified, GHR registered and GHSC Accredited Hypnotherapist. In Mind Therapies offers Hypnotherapy as part of it’s complimentary therapies and is a gentle way to make positive changes or release negative emotions. It can be utilised as a stand alone therapy or integrated with other therapies in sessions.